A two-day workshop for stakeholders in the livestock development and transhumance sector is to open in Accra on Thursday February 15, 2018 to draw strategies towards addressing the conflict between crop farmers and herders in the country. The workshop will see representatives of the National Transhumance Committee of the Republic of Togo share management strategies that Togo adopted to handle issues of transhumance, which have helped to reduce conflict between crop farmers and herders in that country. Stakeholders in the livestock sector including the National Cattle Ranching Committee, Parliamentary Select Committees on Food and Agriculture, and Defence and Interior, and Veterinary Services Directorate would participate in the workshop. The rest are Animal Production Department, Crop Production Department, Cattle Farmers Association, Peasant Farmers Association of Ghana, members of the security agencies and international partners including the European Union, World Food Programme and the Department for International Development. The workshop forms part of the agro-pastoralism project dubbed: 'Strengthening the Resilience of Agro-pastoral Systems in West Africa (PARSAO)' being implemented by the Ghana Developing Communities Association and Community Life Improvement Programme (CLIP). The project, which is funded by UKAID, Acting for Life, Air France and DANIDA, works to improve conditions for cattle breeding and movement across borders and regions in West Africa. 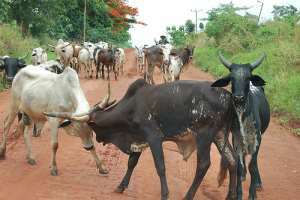 Mr Lukman Yussif, Project Manager in-charge of CLIP/PARSAO project, who briefed Ghana News Agency about the workshop, said it would set the tone for the country to initiate a roadmap on issues of transhumance in livestock management to handle issues of conflict between crop farmers and herders. Conflicts between crop farmers and herders have been pronounced in recent times in some parts of the country as crop farmers accused herders of destruction of food crops on their fields, a situation, which led to scuffles. Mr Yussif said there was need for government to recognize the contribution of transhumance in the livestock development of the country to come out with policies to prevent conflicts between crop farmers and herders.